Going on a trip of a lifetime? Worried about packing? 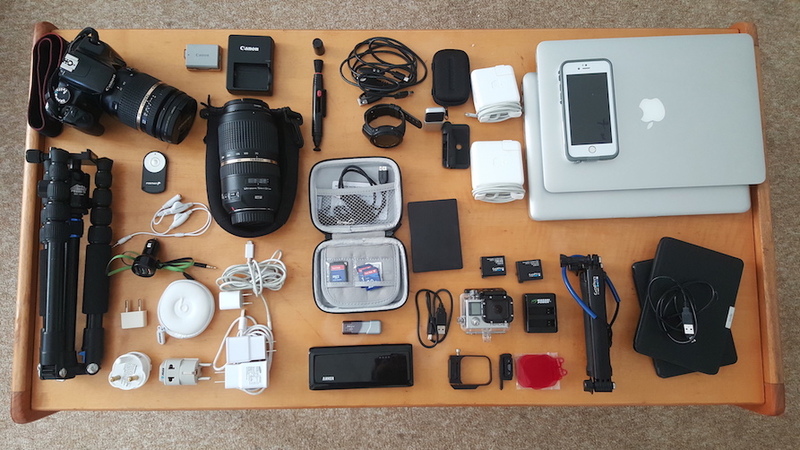 How to pack carry on for an around the World trip? 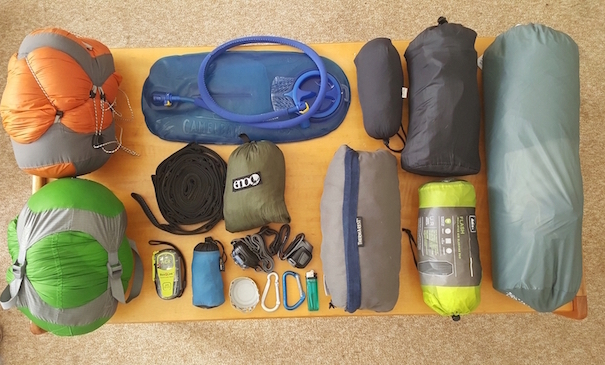 This list covers all the necessary tips and recommended items to pack for an extensive trip. 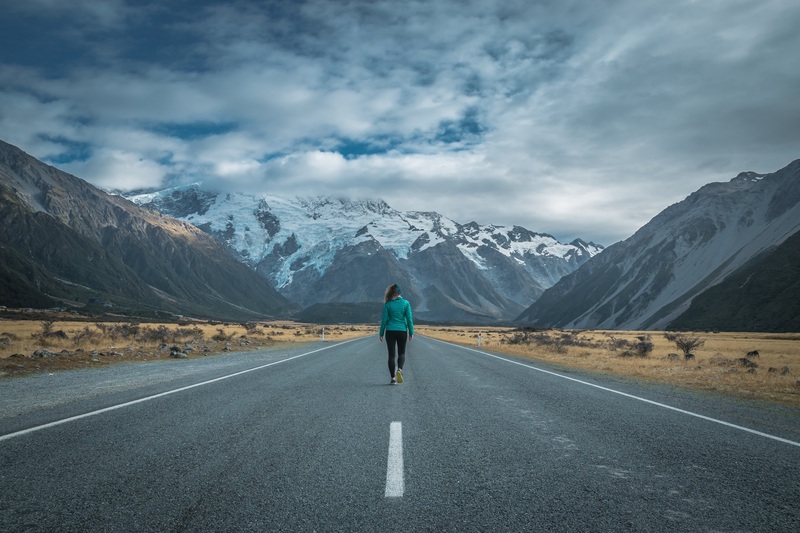 There are some similarities to packing for a two-week trip, but long trips are another beast and do require different types of items and planning. This guide will cover it all, from both women’s and men’s clothing to accessories and electronics, as well as a camping section. 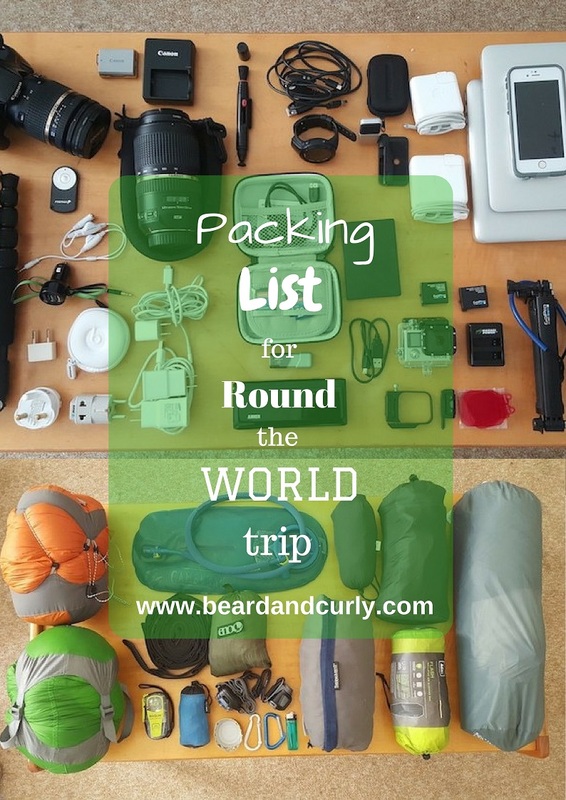 We even have a printable PDF to help you plan and a packing list for a world trip! This list should be used as guidance. First, understand where you are going. What is the general weather in that part of the world? Pack to accommodate the weather and lifestyle you will have at that location. Going to Southeast Asia? Bring beach clothes. Heading to Nepal? Bring your trekking gear. Going to South America for 1 year? Bring comfortable clothes that could adjust for both warm and cool weather. Know your terrain before you pack. Don’t buy something just to buy something. Wear what you already love. Yes, while you want to cut back on what you bring, and preferably want lightweight stuff that packs well, you don’t want to bring something just because it is “travel-friendly.” At the end of the day, you are going to wear what you think looks best or what you prefer to wear based on comfort. When deciding between travel-friendly and comfort, always go with comfort, unless it is absolutely un-travel friendly. Layering and clothes for different types of weather may be something you need to think about and plan for, and when you have to layer, you want to be comfortable. Lounging around in the hostel watching a movie? Throw on those comfy shorts and the lightweight hoodie that you love. Jeans are heavy. A lot of travelers do not bring jeans. I can understand this, but if you wear jeans and a t-shirt 90% of your outfits normally, then bring jeans and t-shirts. While they are heavy and bulky, they do keep you warmer than other types of pants. Jeans are also essential in not looking like a backpacker all the time. If you want to fit in at that European bar or go to a nice dinner on occasion, don’t be the one wearing your zip off trekking pants. Jeans are the way to go. Pick one comfortable dark pair with no knee holes (those will get much bigger over time) and rock the jeans. Worried you might forget something? Don’t worry. REI ships internationally for $35 if under $150 order total. Above $150 order total and shipping is only $20. There also are other options, and always can look for locally made goods as well. I personally buy almost all of my equipment through REI, B&H or Amazon. As the largest online retailers in the US, they usually have the best prices as well as good return policies. If you are considering buying any camping gear, hiking gear, or photography gear, please consider buying through the below affiliate links on this page. You won’t pay for anything extra at all, but we will receive a small commission (usually 2%-5%) to help run the website. We appreciate the support! 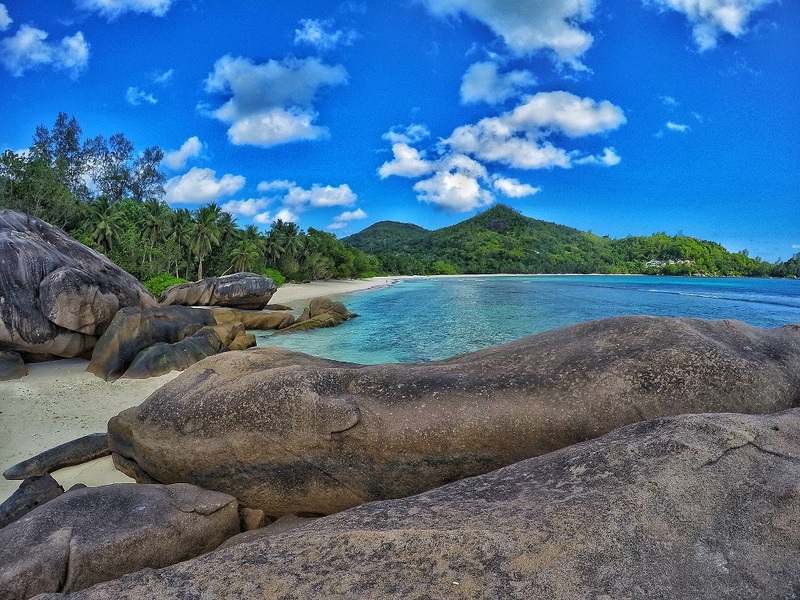 Click here for more info on planning a RTW trip. TIPS: Here are a few of our favorite things: Good athletic tank tops, a good button up shirt, a cute maxi dress, merino wool socks, ExOfficio quick dry underwear that may change your life for the better, and a lightweight down jacket. Our travel list includes both warm weather and cold weather clothes. Depending on your anticipated destination, some of these items may be unnecessary. Havaiana Flip Flop – UPDATE: Quality has REALLY dropped since these flip flops first came out. We now prefer to buy locally made flip flops as we travel. TIP: Here are a few of our favorite things: ExOfficio quick dry underwear may change your life, good hiking pants that have some stretch to them, merino wool socks, enough t-shirts, and a lightweight down jacket. Our travel list includes both warm weather and cold weather clothes. Depending on your anticipated destination, some of these items may be unnecessary. Havaianas Flip Flops. UPDATE: I no longer wear Havaianas as their brand quality is not up to what it used to be. Now I prefer to buy locally made flip flops. 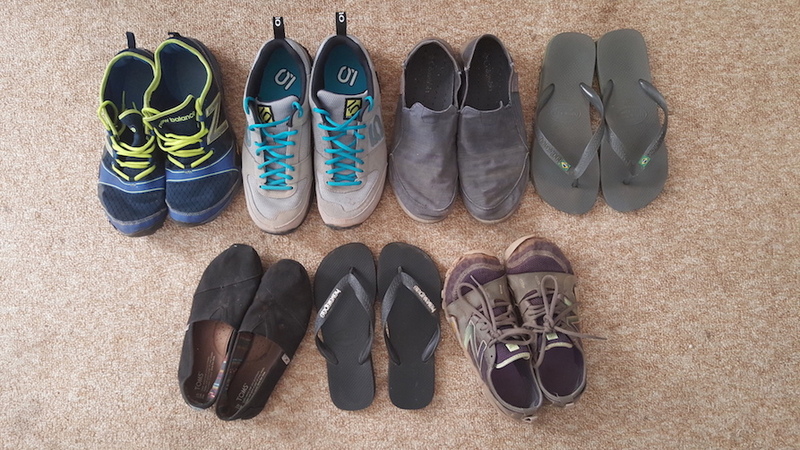 I go through a new pair nearly 3x per year! For all of our clothes, we each had two compression sacks from Eagle Creek. These are a must for traveling. 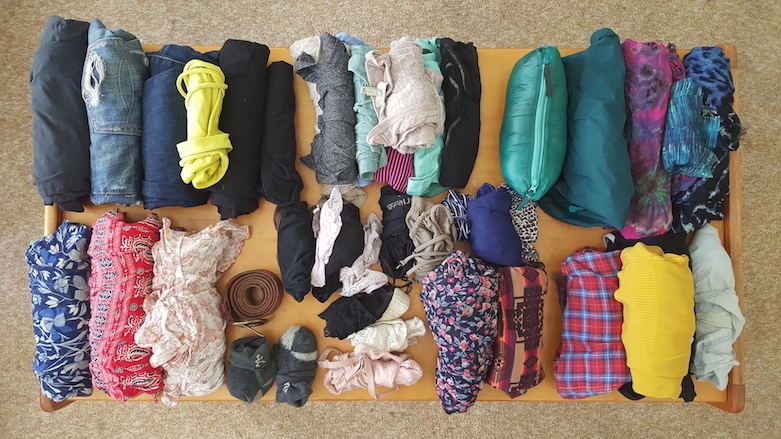 Below is a picture of all of our clothes rolled up into compression sacks, plus an outfit left out that we would wear while traveling. We brought very lightweight minimal trail runners. Although they are awesome if you plan on doing extensive hiking bring supportive shoes. Our trail runners aren’t cutting it so we had to purchase new hiking shoes. I would go with Salomon’s for a more comfortable and relaxed hiking shoe. For walking shoes in cities, you want to balance comfort with style. Going camping on your trip, or maybe you want to save some money and bring a tent? Many countries offer camping, even within city limits. Find a good backpackers or caravan park and save money on your accommodation to lengthen your trip or spend more money on other things (i.e. food). TIP: When traveling to places where water needs to be purified, the Camelback UV Waterbottle is excellent to have with you. Always have a good RFIDsafe travel wallet, bring at least 2 locks and 1 cable wire for protecting your information and gear, and NEVER forget Earplugs. Earplugs sometimes are your best friend, when there is construction next door, a party outside, or just a friendly neighbor in the dorm snoring like a congested camel. Technology has become a staple in our everyday lives, yet everyone uses technology differently. Love taking photos? Bring all your camera gear. Want to check out from technology for a bit and just travel with a pack and clothes on your back? That’s fine too. 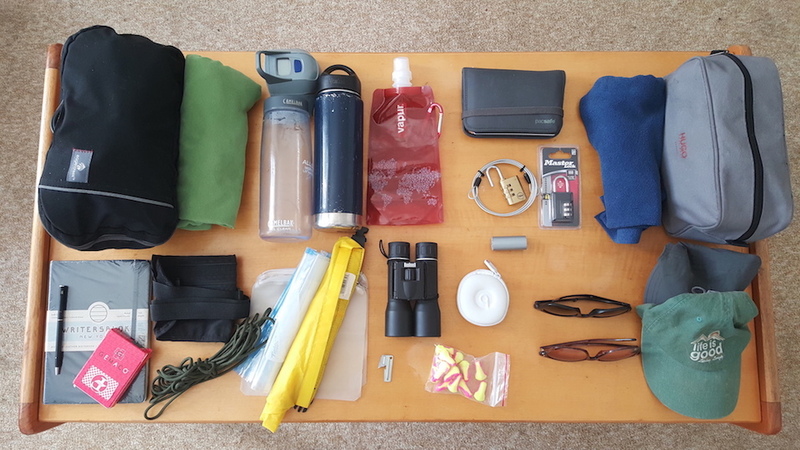 Bring what accommodates your hobbies and travel needs. This list is quite photography heavy, resulting from our interest in landscape photography and our blog. The most important thing with technology is to ensure you have enough power. Bring extra batteries and a portable battery charger. Invest in a good pack. 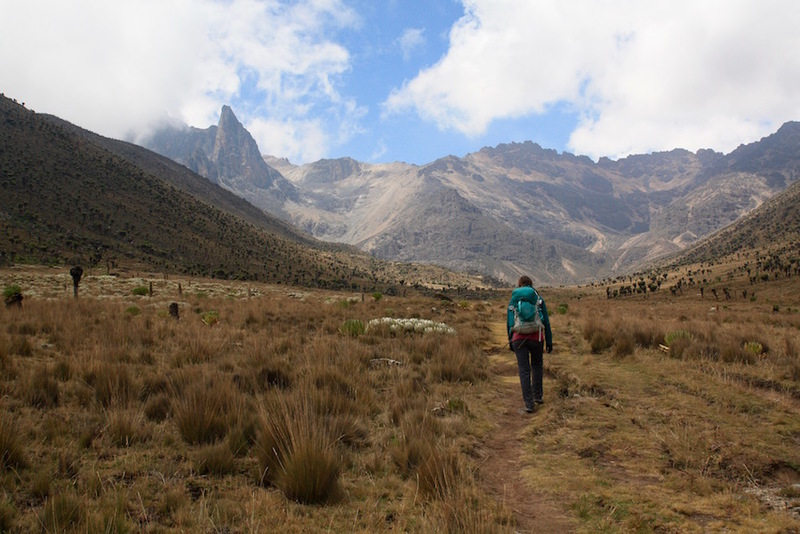 It will be on your back often and you want your pack to fit your body properly, so you are not getting sore each time you are moving between places. Pick the right size pack for your needs. Want to try to carry on only? Stick with a 40L-44L pack. 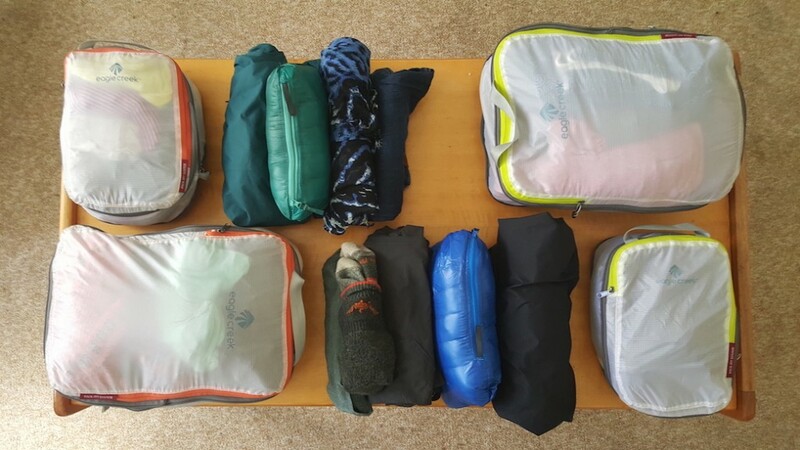 If you want to go with a full-size pack, look for 65L packs. Hello Yana and peskin, I had a look at this and was stunned about the stuff you carry. I am extremely happy for you guys. Thank you for sharing this with the world. Hope you guys are enjoying. I will definitely share this with my friends!!!!! Have fun and keep updating. Love you guys and obviously, miss you two!!! Wish I could travel with you guys. Loved your spirit, love, caring, sharing, hiking, company. Hope we meet again somewhere !! Thanks for such the kind note. We try to travel as light as possible, but we actually flew today from Vanuatu to Australia and came to realize we are too heavy and need to cut back on some stuff. Glad you are enjoying our articles and hearing about our travels. We plan to be in Australia and then to Southeast Asia following that. Let us know if you ever are in that part of the world in the next 6-12 months. Glad we met you and wish you the best. This is SO useful! I am terrible at packing llght, we recently went camping and there was limited room but I still packed everything we own!! I love the way you fold everything, I didn’t realise that rolling was better! Saving this! I really glad it was helpful! Thank you SO much for this in depth post! 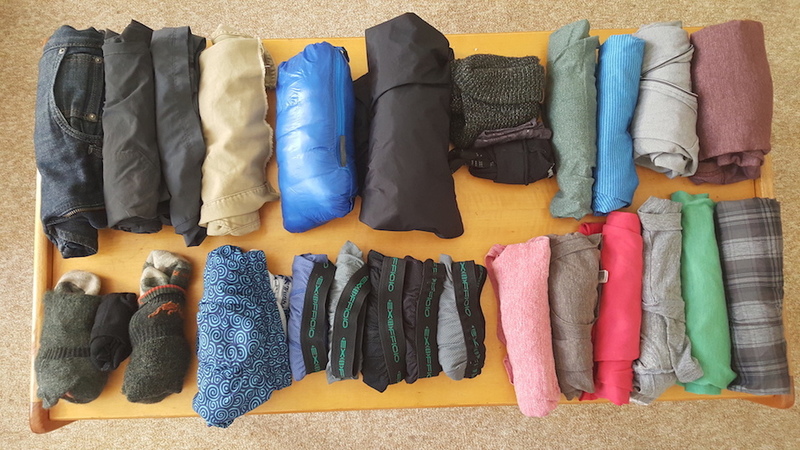 I am really not adept at packing light, so I loved your lists and your pictures! I always roll my clothing – a trick I learned from my “Navy Brat” mom – so glad to get confirmation that it works! Awesome. Make sure to check out our PDF list. It’s super helpful! These are very helpful tips for someone like me who wants to start travelling but has no any idea what to do or where to start. Thank you for this list! You’re very welcome! It can be so overwhelming to pack for a big trip! Your post covered almost everything to make any trip incredible and memorable. It is so useful post and i am bookmarking it. Both my husband and I have been travelling so much in our life. Him doing south america for a year, then us together 6 month in SEA and our latest was 15 month round the world. I can tell you, it doesnt get easier with packing…and especially not for our next long term travel starting next mai because now we are not two but three!! We thought if was complicated before and I dont know how things will turn out when we will have to to add another bag! I always bring a pair of jeans! Thats the best to bring because you can wear it in the city or to go hiking…unless its a pair of super slim model! I’m sure it can even more complicated with a child. It’s super hard to pack for such a long time so I hope this list helps a bit. Oh wow, seeing everything laid out like this makes me soooo want to go on a trip. I’m with you on the jeans debate. As useful as they are, they really can be bulky in a backpack. They are bulky but definitely worth the weight! I wear my jeans all the time! This is super travelling list. I am taking printout of this and pasting it to my suitcase and whenever plan for travel will check out the items which I put in. Regarding jeans you are very true as it is too heavy to pick but going to bars in track suits does not suit. Thanks for sharing! Aw I’m really glad it’ll help you. I always have the list when we are planning long trips. It’s super helpful. And jeans are a must! Round the world trip is one of my dreams! This is a great list to rely on. Also, that collapsible water bottle is so convenient. Have to get my hands on one soon! Thanks! I hope it is helpful to you. What a perfect list, I too wear what I love wearing along with taking comfiness into consideration while travelling. Great tips! I actually went ahead and pinned this! 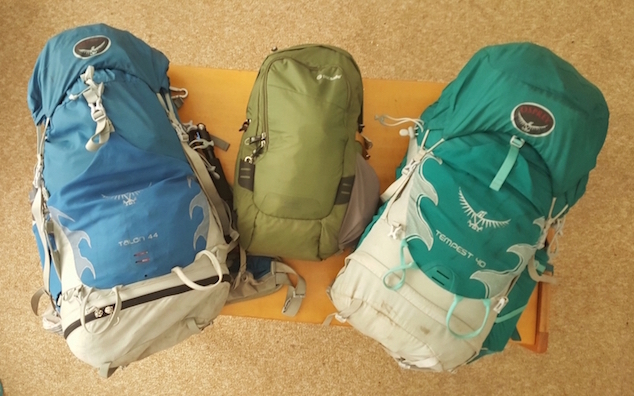 My husband and I have been talking about back packing (not for a year, but still…) and your tips will come in very handy! Thank you for sharing! 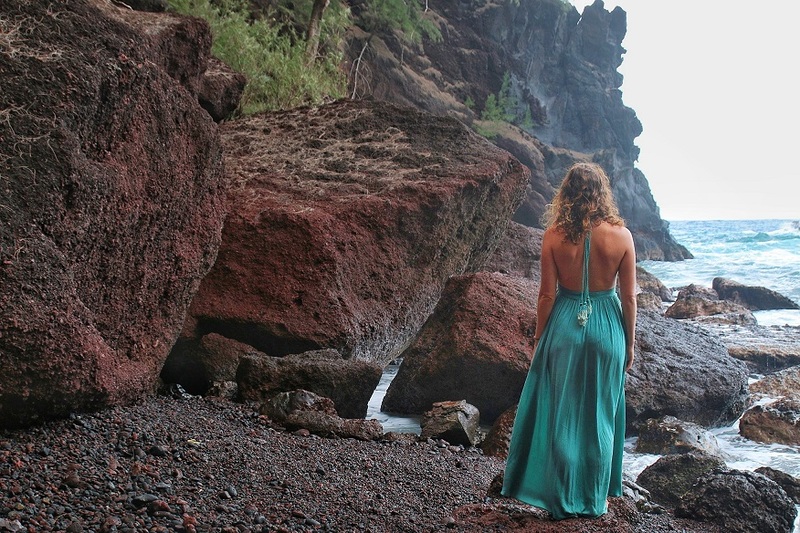 This is such a helpful post for those packing to travel the world. I struggle to pack for a week away so would definitely need this post if I was travelling for longer! Aw it’s not permission haha. It’s just interesting to me how many people recommend not bringing them and I think that’s just crazy! It’s interesting that you listed the Benadryl and Mucinex as things to go in his pack. Not that I would want to go without Benadryl but I think it could be useful for either person. Great tips here though for packing. And you should wear what makes you feel comfortable out there, even in jeans and a tshirt. Yeah it is a lot of stuff. But if you aren’t camping you can omit a good portion of it. I have learned how to pack things in a way where I can mix and match clothes. If I have to take a pair or two of pants then I still take jeans for comfort and also because it can be worn casually or with a nice top and shoes. Agreed! Layering and mix and matching is the way to go!